Wow! World premiere of complete Jerry Goldsmith score for Frank Marshall film from Micheal Chrichton thriller with Laura Linney, Dylan Walsh. 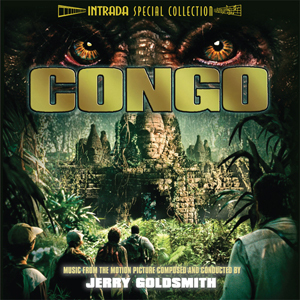 Original album produced by Goldsmith only featured about 23 minutes of score plus ten minutes of admittedly dynamic African choral material. But that left out virtually half of magnificent score.